If you guessed (f), you are correct! Critics are horrified that Sewell, an accomplished academic and incisive observer of human differences, has bucked the forces of political correctness and some how remains gainfully employed. Sewell, a 43-year-old native of Reading, has posted summaries of “taxonomies of race,” which include notable (hint: notorious) sources: John R. Baker’s Race, a landmark study published in 1974 by Oxford University Press; Michael Levin’s seminal work Why Race Matters; Herrnstein and Murray’s bestseller The Bell Curve; Arthur Jensen’s The g Factor; Frank Salter’s On Genetic Interests; Richard Lynn’s Race Differences in Intelligence; and Kevin MacDonald’s A People That Shall Dwell Alone.Sewell’s Website postings have driven his adversaries raving mad. Surely a “responsible” mentor of students should know better than to risk one’s academic position by favorably citing such radioactive literature on race and ethnicity. Acknowledging that race is a valid scientific taxonomy and that race differences are natural biological realities will generate accusations of “racist” faster than Heidi Beirich can inhale a tray of donuts. After all, “responsible” mentors know better! "Hideous Heidi" loves to get people blacklisted and fired. The fact that an academic with Sewell’s laudable record is under such scrutiny speaks volumes as to the nature of the infraction. From whence does this “pressure” come? Left-wing critics have worked tirelessly over decades to make it dangerous to espouse such views—positions that are now rendered career-sacking offenses. How this has come about is worth closer scrutiny. For decades the Left adopted the term “McCarthyism” to describe a dark period of the Cold War era—an alleged age of rampant political repression. The conventional narrative is that Communists, Socialists, labor union organizers, and various “progressive reformers” were smeared in a ruthless spate of “red-baiting” witch-hunts. According to legend, Sen. Joseph McCarthy (R-WI) recklessly spread baseless charges that ruined careers, disrupted lives, wrecked marriages, and tore families apart. Major biographies of McCarthy as well as histories of the Cold War repeat a litany of falsehoods and exaggerations: individuals were persecuted, government officials were smeared, Hollywood screenwriters, directors, and actors were blacklisted and eventually ruined, and innocent citizens were targeted as security risks. All were innocent. Critics allege that McCarthy never exposed a single Communist. Fear usually accompanies political repression…. [McCarthyism] changed the lives of thousands of people at the same time that it changed the nation’s political culture…. From Hollywood to Harvard, the anticommunist crusade blighted thousands of lives, careers, and marriages. People’s experiences varied, as did their reactions to them. Some folks flourished; others were destroyed; most managed to survive. Schrecker doesn’t deny that many of the accused were in fact Communists. Her main thesis is that as Communists, these “activists” were simply victimized for advocating progressive reforms, such as equal rights for minorities and women, repeal of segregation laws, etc.—in other words, these citizens were unjustly targeted for their political beliefs. Sixty years ago, McCarthy, a junior senator from Wisconsin, terrorized the nation by claiming the government was full of secret Communist agents. He hauled people up before his committee and interrogated them. People were scared into paranoia. Some saw Stalin’s spies everywhere. Ironically, McCarthy never uncovered a single Communist. He probably wouldn’t have known one if he saw one. He was merely a drunken demagogue looking for a cause on which to rise to power and fame. Eventually, the courageous journalist Edward R. Murrow managed to do a TV show exposing his lies. Soon after that, the Senate sensed the nation finally had enough. They censured McCarthy in 1954, effectively taking his power away. He then swiftly drank himself to death. The country learned a lesson from that: Recklessly labeling people “Communists” was beyond the limits of what was acceptable politically. Needless to say, McCarthy was drawing much-needed attention to the serious matter of Soviet espionage and Communist penetration in the upper echelons of the federal bureaucracy. FBI Director J. Edgar Hoover monitored and issued warnings to lawmakers about the internal security threat posed by fellow Communist travelers and Soviet agents. In some instances, McCarthy was simply pursuing Hoover’s investigative leads. Ted Morgan, author of Reds: McCarthyism in Twentieth-Century America, defines McCarthyism as “the use of false information in the irrational pursuit of a fictitious enemy.” In the case of Sen. McCarthy, the accusations were fundamentally accurate, the information was credible—consider the voluminous case files of the FBI, and more recently the Venona documents decoded from Russian archives. The threat to America’s national security was real. I do not know of any red blacklisted in Hollywood. I do know, if the newspaper stories can be trusted, that many of those “blacklisted” people, including the Hollywood Ten (who went to jail for a year, for contempt of Congress), were working in Hollywood thereafter under assumed names. They had enough friends in the industry to be able to sell stories under phony names; and today, most of them are back in business. But have you ever inquired into what happened to the friendly witnesses? Before we left for Washington [to testify before the House Committee on Un-American Activities Committee], we were put under every possible pressure, short of physical force, by the heads of the Hollywood studios, who did not want us to testify. Why not, if we were opposing Communists? Rand notes that some actors and screenwriters, who testified as “friendly” witnesses before HUAC in 1947, never worked again in Hollywood. Communists, such as Dalton Trumbo, the screenwriter of Roman Holiday (1953), Exodus (1960), Spartacus (1960), and Papillon (1973), worked under aliases and became employed under their real names after 1960, as blacklists against Communists had all but ended. Much attention has focused on the so-called intrusive excesses of “anticommunist crusaders.” However, the activities of the Hollywood Anti-Nazi League for the Defense of American Democracy has received little criticism or scrutiny for the organized “surveillance” of Americans who were sympathetic to Nazi Germany. The Carl Jacobson Collection of Hollywood Anti-Nazi League Records in the archives of the UCLA library’s special collections reveal the extent of “investigations about and surveillance of organizations and individuals suspected by the Hollywood Anti-Nazi League to be supporting Adolf Hitler, Nazi Germany, or the National Socialist party at home or abroad.” How many liberals have complained about the Hollywood Anti-Nazi League unfairly targeting fascist sympathizers? Unlike suspected Communists, which Hollywood elites circled their wagons and protected, fascists and pro-Nazi enthusiasts seen to have been justifiable targets of surveillance by Left-wing organizations. When radical Leftists and Communists encounter intense scrutiny for their political activities, liberals become enraged and consider such transgressions a national disgrace. The MSM view it as uncivil—a violation of an individual’s rights and persecution of dissident political beliefs. However, when right-wingers are subjected to similar treatment for their views, then it is excused away as little more then a minor inconvenience. The ends seem to justify the means in one instance, but not the other. Over the past several decades, the political center has drifted leftward to the point that previously accepted conservative beliefs (e.g., anti-egalitarianism, opposition to massive legal non-White immigration) are rendered beyond the pale for civil society. Molten lava by comparison isn’t as hot as any insinuation that biological group-based differences (gender, race or ethnic) influence cultural or societal inequalities, even in the post-Bell Curve era. Consequently, a new, more virulent strain of “McCarthyism” looms on the political horizon—one that makes the alleged original “McCarthyism” relatively innocuous by comparison. The epoch of Political Correctness has morphed into a renaissance of political repression and blacklisting, similar in many ways to a benign tumor metastasizing into aggressive cancer. Radical Leftists in Hollywood and the government bureaucracy are no longer subjects of scrutiny. Today’s targets are law-abiding citizens whose only misdeeds are exercising their constitutionally protected liberties: Freedom of Speech, Freedom of the Press, and Freedom of Assembly. National Review editor Rich Lowry fired columnist John Derbyshire after posting “The Talk: Nonblack Version” on Takimag.com, a candid reflection of race and personal safety in the form of advice to “nonblack American kids”. The piece was viewed as a balanced corrective to the distorted MSM spin of the Trayvon Martin shooting. Michael J. Regan, assistant district attorney for Allegany County, New York, lost his job in 2006 after attending an American Renaissance conference. A Washington Post reporter interviewed Mr. Regan and disclosed his identity. Mr. Regan indicated that he became aware of the AR conference from VDARE.com. The Archdiocese of New York fired Frank Borzellieri as principal of Our Lady of Mt. Carmel School for holding viewpoints “inconsistent” with the Archdiocese of New York. The outspoken author of five books and frequent speaker at AR conferences is a political columnist and educator. Borzellieri taught English at St. Barnabas School in the Bronx from 2006–2009. St. Barnabas Principal Annemarie Zagaglia said of Borzellieri, “You can’t have someone with those beliefs or who writes that kind of stuff working at a Catholic school”. The U.S. Navy placed Lt. Cmdr. John Sharpe Jr. on administrative leave in 2007 pending the outcome of an inquiry into allegations that the naval officer published anti-Semitic works and had been involved in “supremacist” activities. In 2008, the $PLC contacted Catholic University to complain about “Building Catholic Communities”, a lecture series Sharpe helped organize. The Dean of Catholic University canceled the series. Jared Taylor, the multilingual, Yale educated founder of American Renaissance (often erroneously identified as “White supremacist group”) and author of five books, has worked over the years as an experienced translator. Taylor, who is fluent in French and Japanese, was subjected to an organized smear campaign targeted at prospective employers who rely on translators, including the U.S. State Department. On April 13, 2011, the $PLC’s “Hatewatch” “contacted the State Department and requested comment regarding Jared Taylor’s work as a translator through the U.S. Embassy in Tokyo.” As of that same day, Taylor was no longer listed on the “Language Services” webpage of the U.S. Embassy in Tokyo. Conservative Editors Sam Francis, Peter Brimelow, Scott McConnell, John O’Sullivan, and Kevin Lamb lost their editing posts from either internal or external political pressure (or a combination of the two) as a result of violating established taboos. The issues surrounding these firings had nothing to do with job qualifications, performance, work record, or on-the-job grievances from their employers. In at least one instance, outside political pressure forced either a resignation or termination. Racial and cultural taboos, primarily a result of political correctness, were base factors in these firings. Scholars such as Kevin MacDonald, J. Philippe Rushton, Arthur Jensen, Hans Eysenck, Chris Brand, Edward O. Wilson, Paul Gottfried, Drew Fraser, Frank Ellis, Raymond Cattell, James Watson, Thilo Sarrazin, E. Michael Jones, Robert Engler, and Linda Ozmun have encountered career-related difficulties over remarks, published scholarship, or politically incorrect activities. In the recent cases of Engler and Ozmun, the former, a sociology professor, was terminated from Roosevelt University for refusing to cooperate during an administrative hearing over Engler’s use of an “ethnically sensitive” joke; Ozmun is suing Lamar University, claiming that her “tenure track was derailed” for refusing to attend a “gay play” in 2010. MacDonald, Rushton, Jensen, Eysenck, Brand, Wilson, Fraser, and Ellis have experienced adverse consequences (investigations, administrative hearings, or censorship) over their work or views. In some cases, outside interest-group pressure from radical organizations contributed to administrative hearings and suspensions. In the case of Jensen, MacDonald, and Rushton, classes were disrupted, a campus bodyguard was hired for security (Jensen), and lectures were videotaped for personal safety (Rushton). In Eysenck and Wilson’s case, they were physically assaulted in public forums. Then there are the numerous casualties of the Israel Lobby or simply offending Jews: John Mearsheimer and Steven Walt (accused in the MSM of resurrecting the Protocols of the Elders of Zion), Rick Sanchez, Helen Thomas, and M. J. Rosenberg. 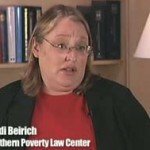 The Radical Left—namely, the SPLC, Anti-Defamation League (ADL), the Institute for Research and Education on Human Rights (IREHR, which is run out of Marxist Lenny Zeskind’s basement in Kansas City), and similar “Watchdog” groups—has learned important lessons from the past and adopted what Jack Cashill terms “ritual defamation.” These are the same tactics that the Left accused Sen. McCarthy of using against Communists. One significant difference between then and now is that the MSM and milquetoast “conservatives” kowtow to these left-wing “watchdog” groups. This provides a veneer of respectability to their work and allows them to carry out a scorched-earth agenda against their opponents—essentially destroying carte blanche anyone on the Right. Accusations of “racism”, “anti-Semitism”, and “bigotry” are tactics such groups indiscriminately use to shutdown rational discussions of legitimate public policy issues, such as effective border security enforcement, restrictions on legal immigration, and ending illegal immigration. Law-abiding citizens in free and open societies should be able to freely exercise their rights without sanctions, defamation of character, or undue punishment. Career disruption, loss of work, and financial ruin should not be the consequences of citizens exercising their constitutionally protected liberties. When an accused Communist is blacklisted and defamed, it prompts the largest libel judgment in history, when a Nobel Prize-winning scientist is libeled for being called a “Hitlerite,” $1 is awarded in damages. “Tolerance” unevenly applies across the political spectrum. Merriam-Webster doesn’t define “tolerance” as applying only to Leftists. The modus operandi of these thought police…is to brand as racists and anti-Semites any writer who dares to venture outside the narrow corral in which they seek to confine debate. All the while prattling about their love of dissent and devotion to the First Amendment, they seek systematically to silence and censor dissent. Former presidential advisors, accomplished scholars, award-winning authors, and civic-minded citizens deserve to have their views aired in public forums. “Pernicious Tolerance,” as Robert Weissberg has noted, imposes censorship in true Orwellian (double-speak) fashion. The rankest form of Leninist totalitarianism is pressuring managerial elites—publishers, media organizations, and various private and public sector employers—into forced conformity. After years of cultural pressure from the Left, accusations of “racist,” “white supremacist,” “anti-Semite,” or “homophobe,” is the equivalent tone of opprobrium that was once designated for accused Communists. As cultural and societal norms of acceptance drift further leftward, the problem will only intensify. In other words, this is merely the beginning of Martin Sewell’s problems. https://www.theoccidentalobserver.net/wp-content/uploads/2018/06/TOO-Full-Logo-660x156-1.png 0 0 Cooper Sterling https://www.theoccidentalobserver.net/wp-content/uploads/2018/06/TOO-Full-Logo-660x156-1.png Cooper Sterling2012-06-29 20:18:122012-06-30 14:51:27The Menace of the New "McCarthyism"